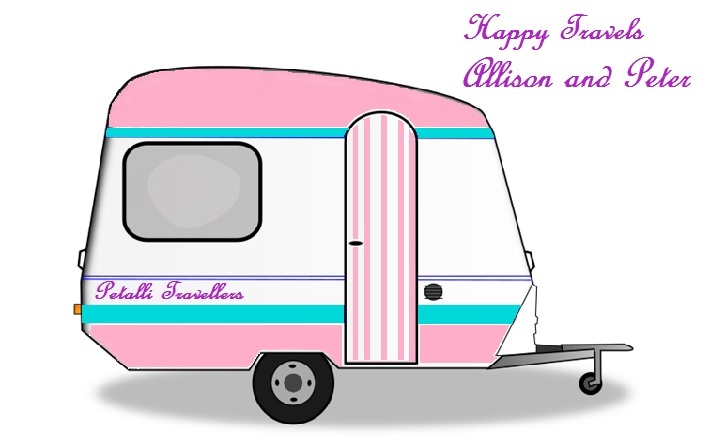 It was hard trying to decide whether to stay another night in Texas as it was so lovely, but we decided to head towards Warialda and the Fossickers Way. I had chosen a few different sites at both Warialda and Bingara, so after filling with petrol, getting some more meat, and getting Peter's coffee fix we headed south. Warialda is about 126km from Texas on the Bruxner Highway to Yetman, then on the Warialda Road to Warialda. 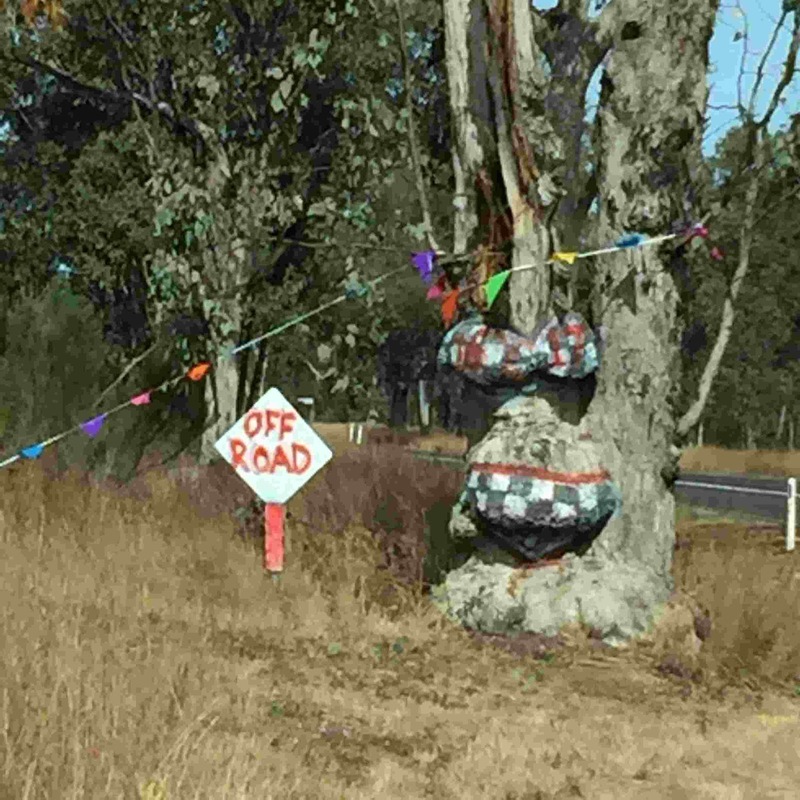 We stopped for a photo of the bikini tree just outside of Warialda. In Warialda we headed straight to the information centre, only to find it was closed. 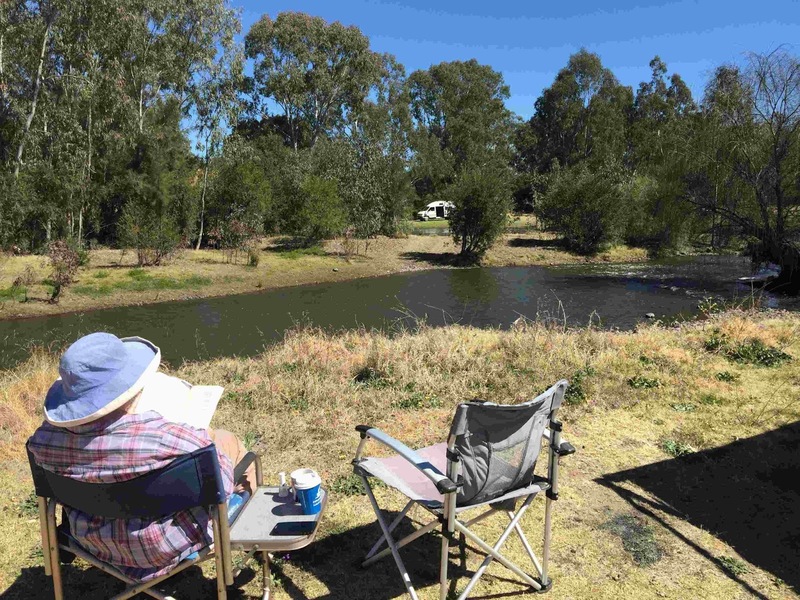 By this time we had decided that we would go the extra 35km to Bingara, but drove around to look at the free camps at Warialda. There is one behind a pub which is where we will stay next time, as the town looks lovely with many historic buildings. The other free camp is fairly open, and we stopped there for lunch, which I had prepared earlier. We drove down the Alan Cunningham Road to just before the town of Bingara to the Bingara Riverside Camping Area. So many vans already there and such a lovely spot. I know, they are all lovely spots, but Australia is beautiful! We found a lovely spot right on the river banks with lovely neighbours. We had drinks around the campfire and then dinner. There is phone reception but no TV, so the satellite is getting another workout. It was cold overnight, so the heater also got a workout. We decided to stay at least two days. The following day we drove into town. There is a dump point and water available ($1) to top up the vans. Being Sunday, most shops are shut so we had no trouble getting a parking spot. While looking at the beautiful architecture of the closed Emporium, a local lady, Brenda, started telling us all about the history of the town. 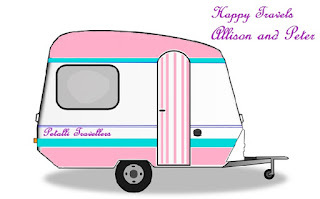 She has lived here all her life and was a wealth of information. Across the road from the Emporium is Peter's Milkbar and the Roxy Theatre, lovely examples of art deco. This is also the location of the information centre. We walked up and down the main street enjoying the different styles of pressed tin awnings, all of which I could make a quilt pattern from. The town has a 'soundtrails' audio tour that one can download which is good. However, not when one wants to do the town tour there and then. We will download the app when we get home and have better wifi coverage. We walked up and down liking what we saw, but didn't know the history. Peter had look at XXXX beer - $53 a carton. He said he will wait for Tamworth. 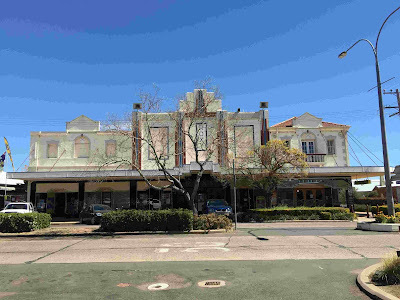 The Roxy Theatre complex was built in 1936 by three Greek immigrants from Kythera. It operated as a theatre until 1958, and was restored and re-opened in 2004. 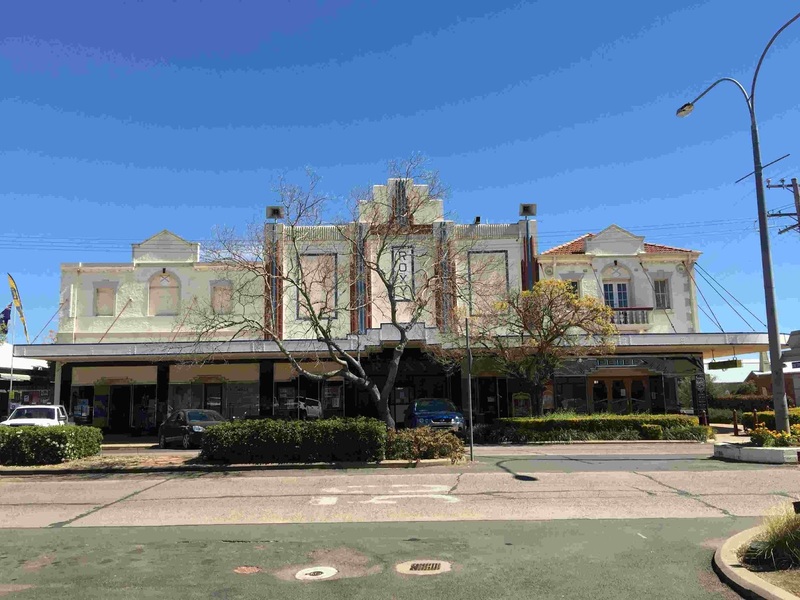 It now houses the tourist information centre, a Greek heritage in Australia Museum, an old style milkbar as well as the theatre and cinema. One of the back buildings also doubles as a cooking training venue. There is also a street lined with orange trees and an orange festival is held every July. No one is allowed to pick the oranges until one day in the festival when the school children are allowed to pick all the oranges. We must be here too early in Spring as the trees do not have any buds yet. The trees were planted by the Bingara RSL Sub Branch in 1946. We drove up to the Batterham Lookout and it is well worth a visit. No caravans as it is a very steep climb. It is named after a local historian who did much to promote Bingara. We also drove to the Living Classroom site. One can see the beginning of this project with greenhouses and bunkhouses erected and some planting have already taken place. It will be a great place to visit in years to come. There is an old ore stamper battery in a picnic area south of town. It is all that remains of the All Nations Gold Mine, established in 1860, and closed in 1948. The discovery of gold in 1852 bought many settlers to try their luck. This may be where the McDougall's from Texas came to find their fortune. 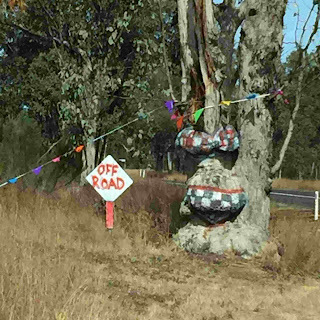 Today there are many places around Bingara that one can fossick for gems. 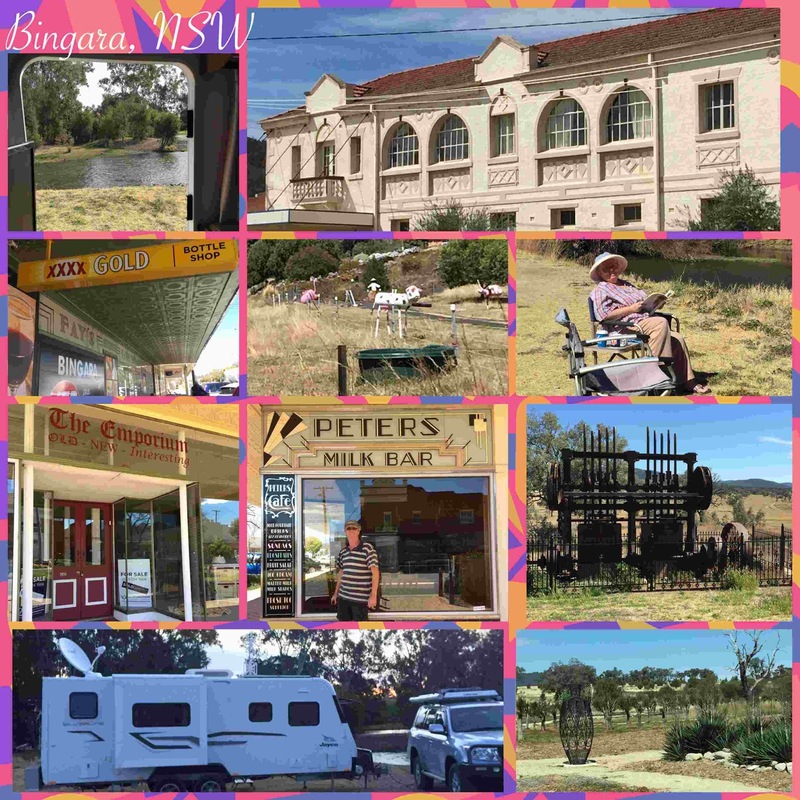 Bingara was named by the local Aboriginal people who would camp at a shallow point of the river that they called this camp Bingara, meaning creek. The local Aboriginal peoples were the Kamilaroi. Explorer Alan Cunningham also camped in the same spot in 1827 and as this was the largest river he had seen since the Hunter Valley he named the river Gwydir after his benefactor in Wales, Lord Gwydir. The first squatters came in 1834, the first being 'Bingara' property, established by George Hall. By 1840 a township was forming and in 1852 it was officially surveyed. During the 1850's gold was discovered in many place around Eastern Australia, and in 1873 diamonds were found. Bingara is a lovely heritage town, that we will return to. The Myall Creek Massacre occurred not too far from here. We will visit that memorial next time. I had to read your post carefully when I read "another night in Texas", but no, you hadn't traveled over to USA. These little towns are so interesting with their history and old buildings. Loved the bikini tree too.